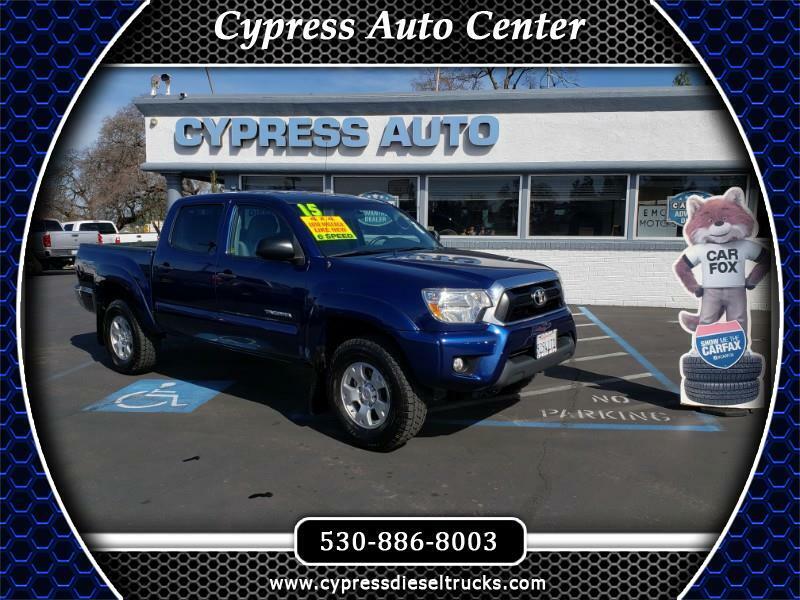 THIS BEAUTIFUL 2015 TACOMA 4X4 CREWCAB IS FINISHED IN A BRILLIANT BLUE METALLIC OVER A GREY INTERIOR AND LOOKS LIKE NEW. IT IS FULLY OUTFITTED WITH POWER WINDOWS, LOCKS, STEERING, AND BRAKES, AS WELL AS AM-FM CD WITH BLUE TOOTH AND MORE SUCH AS THE TRD OFF ROAD PACKAGE. THE SIX SPEED STICK MAKES FOR A VERY VERSATILE ON AND OFF ROAD VEHICLE THAT WILL LAST FOR DECADES TO COME. FULLY SERVICED AND READY TO ROLL. COME BY AND TAKE A DRIVE.